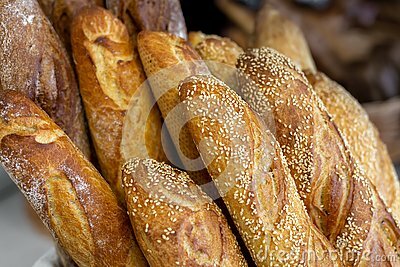 Traditional crusty French bread baguette in basket at bakery. Fresh organic pastry at local market. France cuisine background.